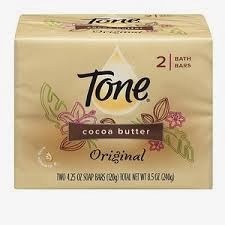 Walmart has the Tone Bath Bar 2-Packs for $1.47, when you buy 2 and use the printable coupon, you'll be paying ONLY $.36 per bar. This is a GREAT PRICE to stock up and add to your stockpile. In addition, health and beauty products like this make GREAT donation items.